The government of Canada has invited 2,750 candidates in the Federal Express Entry pool to apply for Canadian Permanent Residence (CPR) in a draw that took place Dec. 6. Cut-off Comprehensive Ranking System score for this draw was 452. Once again draw made for the use of tie-break procedure that Refugees, Immigration, and Citizenship Canada (IRCC) introduced in June. Some candidates with a score of 452 received Invitations to Apply (ITAs). 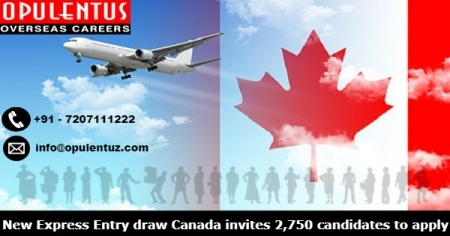 The tie-break means that only those candidates with a CRS score of 452 who entered their profiles in the Express Entry Pool before a specified date and time received an ITA. In this case, that time and date were November 16, 2017, at 04:20:20 UTC. In UTC it happens on Thursday, November 16, 2017, at 6:00:00 pm. The cut-off score of 452 is up 13 points over the previous draw, which took place on Nov-15. The time that elapsed between the two draws, which allowed more candidates to enter the pool, and the size of the draw. Cut-off CRS score of 452 is outstanding given the range of CRS scores in 2017, with CRS cut-off scores in the 430s happening most often. On very few occasions, scores ranged into the low 400s and high 450s. The Government of Canada’s increased ITA targets in the Three Express Entry economic immigration classes for 2018, it is hoped the scores of CRS will continue to drop. IRCC will have to perform either h or more successive draw from Express Entry Pool in the coming New Year, or both. Each of those scenarios could have the effect of lowering the cut-off scores. Latest draw was the 29th to take place in 2017 and brings the total number of ITAs issued so far in 2017 by IRCC to 83,273, representing just over 56 % of the 148,118 invitations issued since January 2015, when the Express Entry system came into effect. Draws on Wednesday’s follows a busy November that saw four draws over its first three weeks. Those weekly draws followed the Nov-1 announcement by IRCC of a multi-year immigration plan that is expected to see the number of candidates granted permanent residence through the Federal Express Entry system’s economic programs increase by nearly 20% between 2018 and 2020. Since the announcements of 5 draws have seen a total of 8,295 ITAs issued. To find out if you are eligible to Migrate to Canada permanently, fill out a free evaluation form or contact us at [email protected] or call us 7207111222. One of our experts will meet your expectations and provide answers to queries.